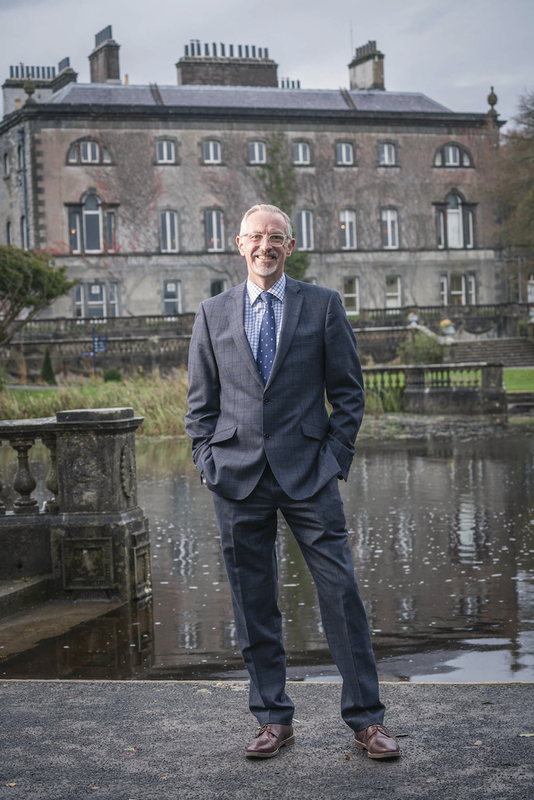 Looking to the future: Tim Husbands, chief executive officer of Westport House and Hotel Westport, is looking forward to a bright future. Photo: Keith Heneghan. The man who, as chief executive of Titanic Belfast, spearheaded the attraction being named the World's Leading Tourist Attraction at the World Travel Awards, is sinking his teeth into turning Westport House and Hotel Westport into an even better tourist attraction. The Nottingham native sat down with the Mayo Advertiser recently to talk about the plans for the future of the historic estate and what attracted him to Westport: "I was looking for a new challenge and opportunity, you look at my career and you will see that I go to challenges that can have an effect on the destination, rather than just particular venues. "The story of Westport House, having been here previously with my own children 20 years ago, was a big draw, I was aware of it and the history of the Browne family, and how they had managed to look after it and keep it maintained and sustainable as they could. It was something that captured my imagination and after speaking with the Hughes family [who purchased the house and estate last year] they set out what their vision was for the project and it matched my level of ambition." The project itself is a massive one — the Hughes family plan to invest €50 million between the house and the hotel over the next five years to ensure the future of the house and estate for the betterment of the area as a whole. "It is a €50 million investment project, it is not a small one, it is partly the viability of the commerical aspect of the project, but it is a legacy piece and that has to be respected," he said. "Both the Browne family and the Hughes family want the same thing, they want the house to be retained for the good of the community and to try to help Westport and Mayo as a whole become much more of an international destination for tourists." While developing the estate is the overall aim, Westport House is the key to everything working, he said: "It is a 10 year programme, but the house is integral to everything. The development of the hotel and the estate is fantastic, but it is the house that will provide the centrepiece and bring the people together. "We will be looking to make sure it is in a very, very, good state of conservation because there is a lot of work to be done there, there was some good work done on the roof about 10 years ago. "But there is still a lot of water getting in so we need to stop that and retain it. We have appointed a conservation architecture company called Consarc - who is headed up by a guy called Dawson Stelfox who has done a lot of very good work and has good credibility in the area, along with climbing Mount Everest, so he likes a challenge. "We also need to make it a viable proposition, at the moment it is a museum and there is more that we can do with the way that we help visitors interpret the history of the house, look at better ways of engaging with them, and also looking at the facilities in the house and how to position it as an offering as a wedding venue and for conferences, etc. We are looking at the facilities we already have there and if and how we can improve them." Since he has arrived in Wesport, Husbands has been very impressed by the sense of partnership and working together for the betterment of the area as a whole: "It has been great, some might have thought that I was coming from a big city to a much quieter pace of life, but I have found that the pace is even quicker. "There is a real sense of partnership working in the town, even in the last four to five weeks, I have seen that, it is about team Westport and team Mayo and everybody understands that. "Of course you are very competitive in the market between hotel's, but the hotels work really closely together, Destination Westport is a great agency and everybody understands what we need to achieve together." Page generated in 0.1725 seconds.